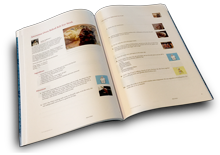 This cook book is for you! Julian Esquirel of Key Largo, FL. I was so excited to be included in this wonderful recipe book. Thank you.